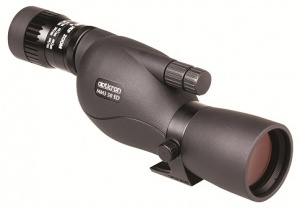 The MM3 series is the latest evolution of the Travelscope concept pioneered by Opticron nearly 20 years ago with the original Mighty Midget 20x50. Fully rain and dust proof and protected against knocks and bumps with full-body rubber covering, the MM3 50 ED is available in straight-through and 45° angled bodies to suit different applications. Compatiblilty with the full range of HR, HDF and SDL eyepieces also means Opticron fieldscope owners can use their existing eyepieces with a new MM3 50 ED body.